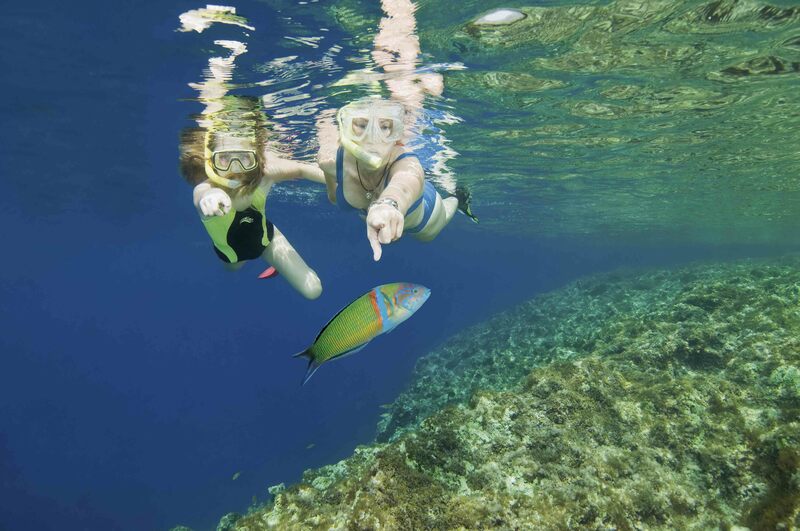 Snorkelling excursions are also a perfect idea to involve all the family to share together the adventure. Aquatica Dive Centre have special rates for groups, for more information please do not hesitate to contact us. The calm and clear waters around the Maltese Islands are simply perfect to experience any snorkelling excursions you may be interested in. Guided by one of Aquatica Dive Centre dive leaders, you will explore the underwater world safely and have fun. Snorkelling tours can be personalized depending on the individual needs in order to meet your holiday time schedule but booking before hand is necessary. Aquatica Dive Centre normal snorkelling excursions are about 2 hours long and feature a short briefing on the equipment being used during the excursion, the underwater environment and safety procedures. Aquatica Dive Centre can combine snorkelling excursions with boat trips to Comino and the Blue Lagoon, kindly contact us for more details. All prices already include hotel transport, full equipment and guide.